Learn a fresh new craft from your favorite designers at Indygo Junction! Creating and embellishing wool fashions and accessories is easy and remarkably fun. 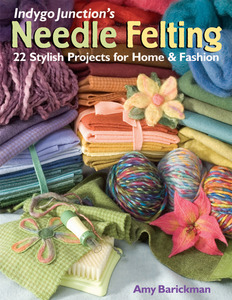 Choose or re-use wool fabrics, then add yarns, roving and novelty fibers. You'll learn to how prepare materials, plus techniques for dry and wet felting. Lots of projects to show off your skills!